Thursday night, the Republican Party imploded. Speaker of the House John Boehner gave his most recent proposal about curbing spending in order to reach a deal to raise the debt ceiling by August 2nd without further increasing the spending problem. The Republicans of the House made Boehner pull his plan and return to his office to revamp the proposal once again. The demands of the Republican Party are too high and unrealistic in terms of how much and what they want to cut. Boehner is trying to reach a median with his fellow members of Congress on the Democratic side. However, Republicans are not supporting their own choice to have Boehner lead them and Boehner is not representing the ideas that those Republicans possess. Republicans took the majority from the Democrats vowing to improve the economic situation in the United States. Instead, they have worsened it with their inability to not only work with Democrats, but with themselves. There is no leadership in the Republican Party. There is no unity in the Republican Party. For years, Republicans have not been willing to bend to accommodate Democrats on proposals. Now, they are maintaining their own unrealistic demands despite the fact that in just a few days, a true crisis might intensify beyond belief. Any changes Boehner makes to please his fellow Republicans would only distance his proposal further from anything that Democrats in the Senate would ever accept. 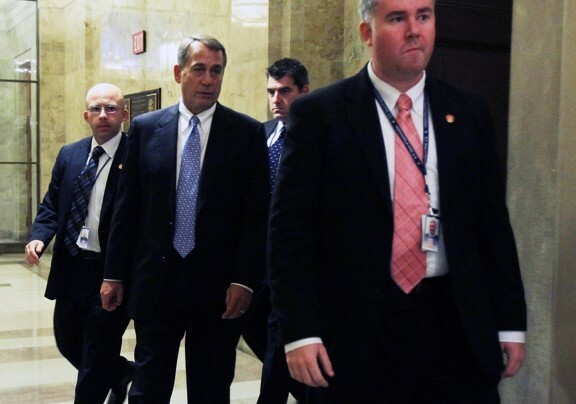 The pressure is now on Boehner and the Republicans. Either they come through in the final seconds of the final hour, or they prove that despite all of the talk before the 2010 Elections, they simply do not have what it takes to get the job done.